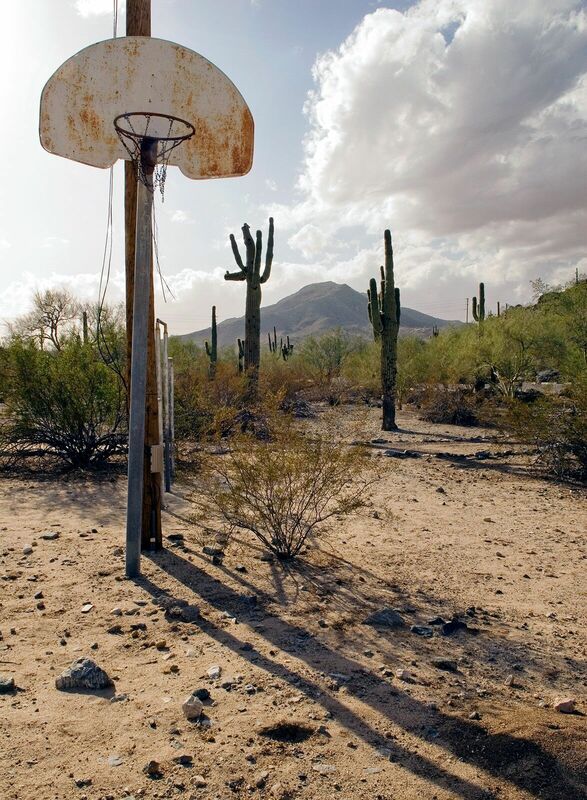 WASHINGTON, D.C.—On March 9, 2019, the National Building Museum opens HOOPS, a new exhibition of photographer Bill Bamberger’s work capturing private and community basketball courts around the country and abroad. 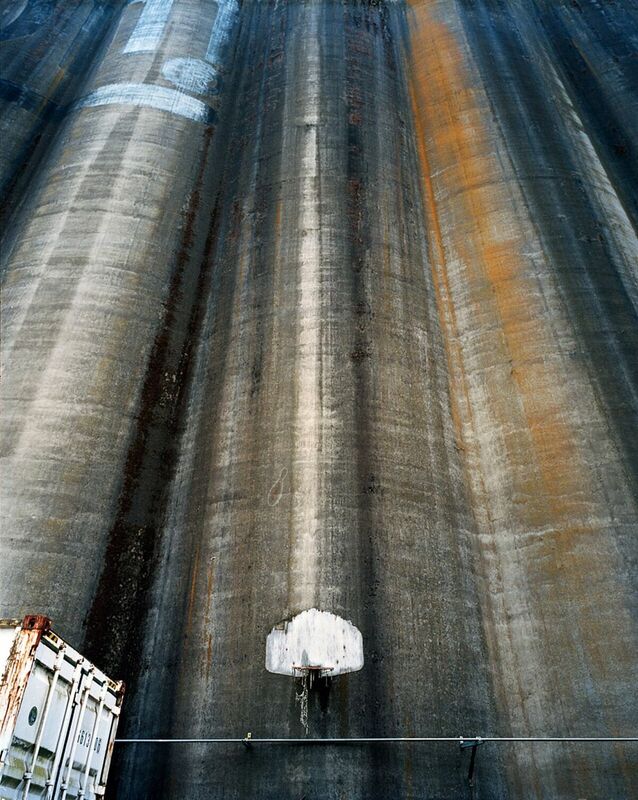 Hauntingly devoid of people, Bamberger’s photographs are nonetheless neighborhood and community portraits, reflecting basketball’s universal appeal and ability to dissolve demographic, ethnic, and regional barriers. Opening just in time for the 2019 NCAA Division I Men’s and Women’s Basketball Tournaments, HOOPS is on view through January 5, 2020. HOOPS presents a selection of large-format photographs taken across the United States and in more than a dozen countries, from the deserts of Arizona and Mexico to the hills of Appalachia, and from the streets of the Northeast to the playgrounds of South Africa. 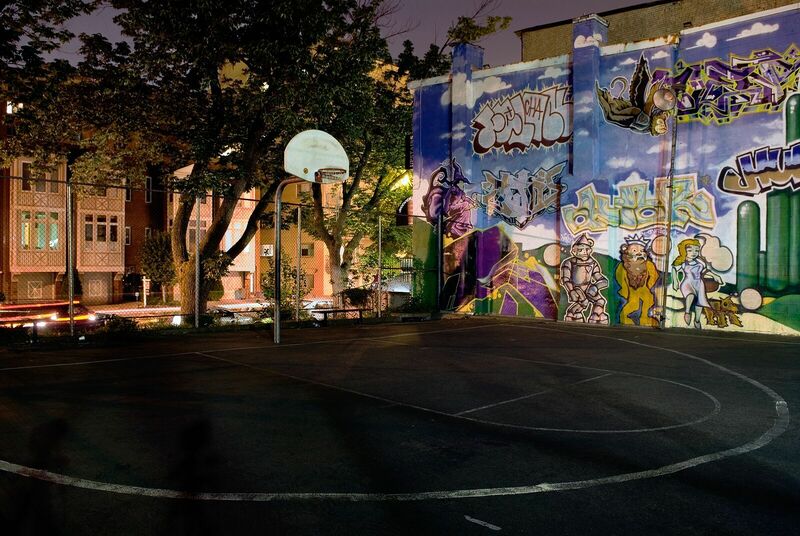 Also featured are images of local basketball courts, including the home of the Goodman League Courts in Southeast Washington, D.C., as well as courts in Maryland and Virginia. Although the game’s standard equipment is simple and well known, Bamberger’s color photographs show that the permutations for a basketball court and backboard are nearly endless. The design and construction of these spaces tell us as much about the communities in which they are found as they do about the game itself. Bamberger began working on the Hoops series in 2004. Early in the project, Bamberger asked his auto mechanic if he played basketball growing up. “He said yes, and took me to the court he played on as a young boy,” said Bamberger. “It was an abandoned barn with fading red paint and a white wooden backboard. It was hauntingly nostalgic and I thought if I can find such a beautiful court so close to home I can find one almost anywhere.” Fifteen years later, he has taken nearly 22,000 photographs for the series. Bamberger has had solo exhibitions at the Smithsonian Institution’s National Museum of American History, the North Carolina Museum of Art, the Yale University Art Gallery, and the Nasher Museum of Art at Duke University (Courtside: Photographs by Bill Bamberger presented a selection of the images featured in HOOPS), as well as previously at the National Building Museum (Stories of Home: Photographs by Bill Bamberger, December 2003–March 2004). He was one of 56 American artists to participate in Artists and Communities: America Creates for the Millennium, the National Endowment for the Arts millennium project where he produced part two in an ongoing series about teenage boys coming of age. His photographs have appeared in Aperture, Doubletake, Harper’s, and the New York Times Magazine, and he has been profiled on CBS Sunday Morning, CSPAN2’s About Books, and NPR’s All Things Considered. A press preview will be held on Thursday, March 7 at 10 am, and will feature a tour with Bill Bamberger as well as exhibition curator Chrysanthe Broikos. RSVP to Emma Filar at efilar@nbm.org. HOOPS will be accompanied by a slate of public programs for all ages that explore the topic of building community through design, including talks with Bill Bamberger, a teen photo workshop, and an all ages program complementing the National Cherry Blossom Festival. Check go.nbm.org/HOOPS for further details. Images are available at go.nbm.org/HOOPSpress. All photos are copyright Bill Bamberger.